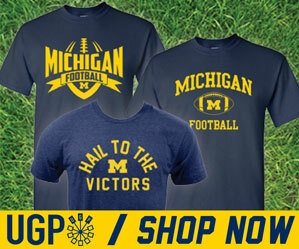 Good preview posts from mgoblog, Big House Blog, BWS. The MZone does Know Your Foe. And Ace from mgo drops a film study on us. Purdue blog Boiled Sports previews this one from the Boiler side of the isle. So yeah, I've had low expectations all week leading up to this "preview", spare time has been something of a luxury lately, so...yeah. Basically, any of the links above can give you a much better preview of this game than what you're going to get here. What I am looking for tomorrow is a Michigan team that does not do the fall into the whole "we lost to Michigan State so now we're not any good" mentality that we've had the last two years. It's a delicate thing really. And after reading John U. Bacon's Three and Out...I will have a whole new respect for this coaching staff if they can keep the "cockroaches" from coming back out. In all honesty, I think Brady Hoke killed all of those cockroaches when he arrived. Anyway, Hoke got a huge break by easing back into the schedule with Dan Hope's Purdue squad. Rich Rod had Iowa both years, and we all remember how that turned out. So what I am looking for tomorrow is not necessarily guys looking pumped up during warm-ups, which is always the case. But what I really want to see is Michigan players really playing aggressive on defense, especially up front where it counts. I want Michigan players jumping around throughout the game – having fun and making Purdue realize that we're not just going to put our tails between our legs because we lost once. Purdue is not exactly flashy on offense, so they are completely containable if we play good. They beat Illinois last week simply by being the other team on the field when Illinois imploded. If Michigan can come out and play as well as we did against Minnesota, or San Diego State, or Northwestern in the second half, then we should cruise through this game. However, if Purdue comes out and plays like they should (which means they play like they have nothing to lose), and Michigan lets them off the hook, start to worry. If they can control the line of scrimmage, break tackles, start to worry. Basically, if they play like Michigan State...start to worry. Our biggest offensive weakness is not Denard's lack of competent passing ability, it's our complete lack of running game from our running backs. I can not overstate that enough. Denard needs a running game. And not the one he creates with his own two legs. You win football games in the B1G by doing two things well – running the ball, and stopping the run...which is exactly how Michigan State beat us two weeks ago. Don't think for a second that every other B1G team that plays us won't seen the film from that game. We might be able to beat Purdue with Denard's legs and arm alone, he's that good when he's on, but I'll be very nervous going into the home stretch of the season if our RBs don't produce tomorrow. We'll have much more tomorrow for the game if you follow us on Twitter. And of course, the usual gameday fare on the blog (photos, 1st half post, post-game stuff).